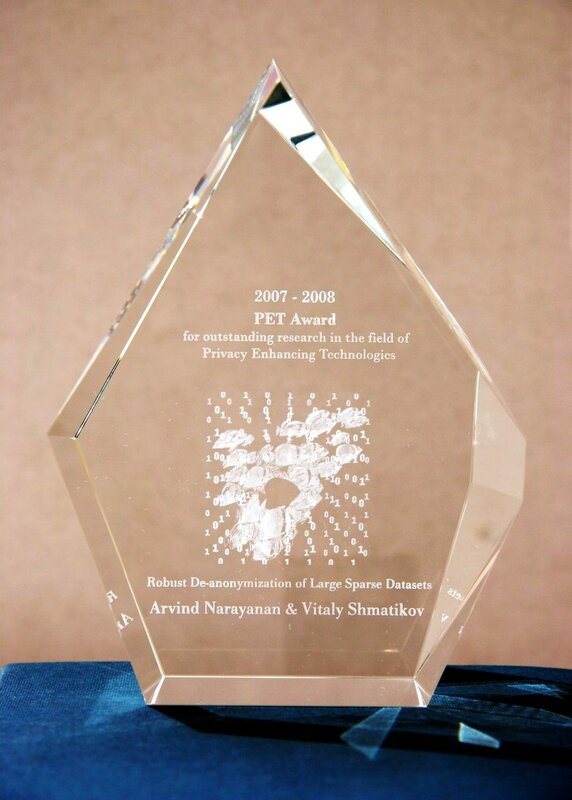 The PET award carries a USD 3000 prize (sometimes split among two papers), thanks to the generous support of Microsoft. The PET Advisory Board is grateful to Microsoft for encouraging privacy research through this prize. The prize also comes with a shiny statue like the one in the picture on the right, thanks to the Information and Privacy Commissioner of Ontario.